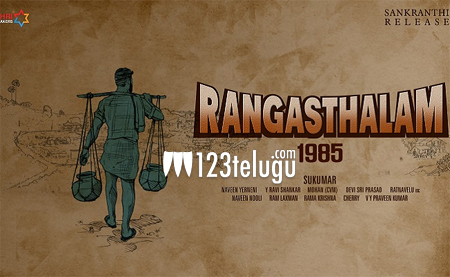 Ram Charan and Sukumar teamed up for the first time for a period village drama titled Rangasthalam 1985. The film’s unit had wrapped up two major schedules in the Godavari region. Rangasthalam’s next schedule will last for 35 days and it will kick-start from July 24. As per the latest update, the film’s Art Director Ramakrishna is supervising the construction of a grand village set worth 5 crores. The set will replicate the 80s village life and it is being built at a studio in Hyderabad. Ram Charan, Samantha, Aadhi Pinisetty and other important cast will take part in this schedule. Mythri Movie Makers banner is bankrolling this high budget entertainer.